Recording Rob McConnell Tentet in Toronto, McConnell still reminds his listeners of the reasons for his groups' distinctiveness: fresh, swinging arrangements that belie the relatively few musicians executing his richly colored sound. That sound remains intact in his "tentet." Plunging into the fun with a right-on-the-beat start of "Old Devil Moon," McConnell continues to delight his listeners with subtle, unanticipated accents and unison horn lines in an arranged variation on the tune. "Speak Low," with its long and slowly deepening brass tones over drum-and-bass propulsion, strips away the horn lines to allow bassist Wallace to speak low of the true basis for the tune: its lightly unconventional rhythm. Dizzy Gillespie's and John Lewis' "Two Bass Hit" reveals the power of the band. But it really is the foundation for the tentet's saxophonists, P. J. Perry, Mike Murley and Alex Dean, to do battle, armed only by their instruments and their talent. "Everything I Love," a tune inspired by Paul Desmond, is valuable as an arrangement that tests the group's cohesion in the same way that Neal Hefti's "Girl Talk" does—with a solid group unity that delves into each note in anticipation of the beat and without ostentation. "Everything I Love" allows for a McConnell solo as well, as he explores the harmonic underpinnings with a vibrant tone and an effortless, melodic improvisational approach. Percy Faith's "Maybe September" glides through kaleidoscopic changes behind a luxuriant tenor sax statement of the theme which is similar to the film noir references of Charlie Haden's Quartet West. 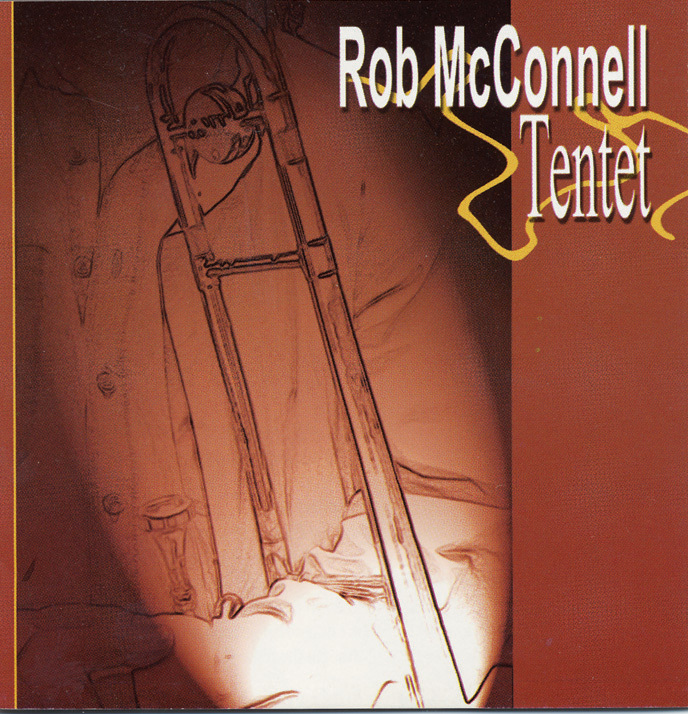 Even within the consistency of McConnell's patented arrangements and instrumentation, unlike any others, Rob McConnell Tentet contains a diversity of mood. With or without the Boss Brass, McConnell's allegiance to the gorgeousness of a brass choir-like sounds remains intact.